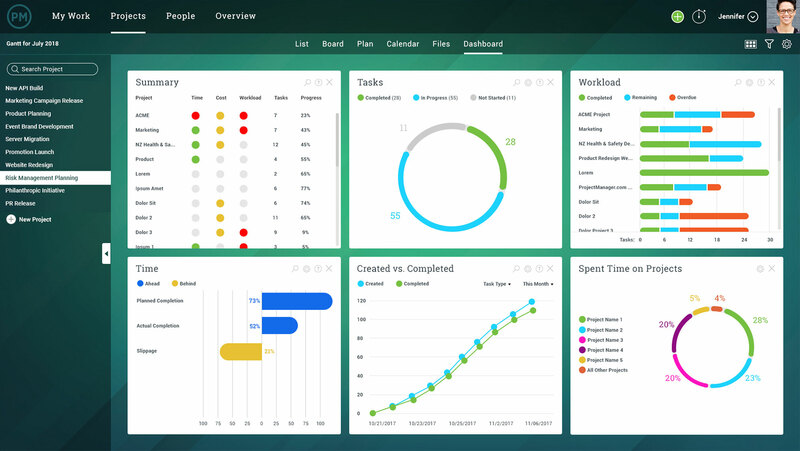 ProjectManager.com has straightforward tools for everyone on the team to manage tasks, collaborate and impact success. ProjectManager.com offers easy, yet effective tools that help team members collaborate and deliver their work on time. See how our PM software can help your team by taking this free 30-day trial. Increasingly, modern teams unite and express themselves via the tools that they use. Today’s teams excel (and have fun doing it) when they can collaborate and work together from anywhere. Now that it’s common to have global teams with off-site contractors or international partners, a team is no longer defined by proximity or adjoining cubes. Modern team members flourish with online software where they can ideate with direct messages, brainstorm as a group and share files — all in an instant. With ProjectManager.com, your team, no matter where they’re located, will always be in sync and at their best. 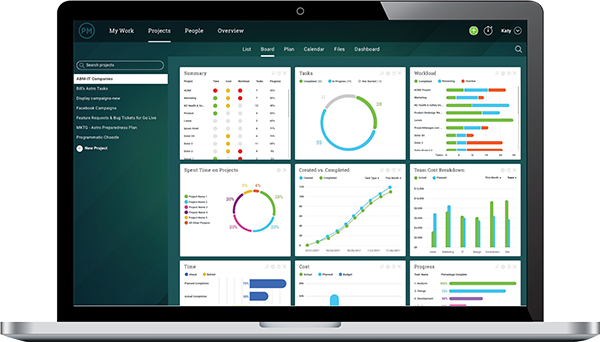 Our online project management software gives team members easy-to-use tools for collaboration, task management, project planning and more. Since we are a cloud-based software, team members always have access to live data, team communications and their tasks — granting incomparable visibility. If you’re a team member, or a team manager[link to team leader page], who wants to take your team to new heights, then read on and find out how ProjectManager.com can complement your talents and your workflow. Knockout your daily work quicker and easier than ever with our to-do lists and dynamic tasks lists that feature notes and attachments. Use our built-in calendar to plan and track long term projects, and set up email notifications for key events, deadlines and more. Position yourself and your team for success by prioritizing your tasks. Tasks can be easily assigned, quickly found and regularly tracked with our task management tools. Say goodbye to digging through old email chains for instructions and expectations. Plus, managers can add attachments and notes to tasks so you can access everything you need to complete your assignments. As you complete tasks, you can update your progress, sending your managers email updates and live data for optimal visibility. Monitor your performance to stay at your peak and never come down. Our real-time dashboards help you monitor your progress and the progress of other team members, so you can quickly recognize when you need to pick up the pace, and when to celebrate all the goals you are crushing! With our easy-to-read charts, you can track other metrics like expenses, workload and planned vs actual progress. Don’t wait for a quarterly review with upper management to realize if you’ve been meeting expectations. Meet them ahead of time and make that review feel more like an award ceremony. ProjectManager.com offers a host of collaboration tools to keep the entire team working together and on the same page. Start global discussions that keep everyone informed, or create project-specific discussions that only loop in certain team members. As new comments are made, email notifications are sent straight to the inbox. We also make it easy to add comments to tasks. Have a suggestion or an idea to help your coworker? Just add a comment to their task. It’s that simple! Share and upload important files quicker and easier than ever before. Any team member can upload documents, spreadsheets, photos or whatever you want to our online database. And, since our database is in the cloud, all those files are accessible at anytime with an internet connection. You’ll never be without a critical file again. Our software has helped kickoff over 2,000,000 projects in industries ranging from construction to marketing. For more information on how our software helps teams in specific work environments, visit our industries page. Or, simply sign up now for a free 30-day trial and see for yourself!